Two Drivers - One dynamic driver and one balanced armarture hybrid to produce amazing treble and bass. Customized Balanced Armarture, responsible for high-frequency performance, mid-frequency density increased by 30% than traditional, the details of the performance is particularly rich, crisp and sweet. 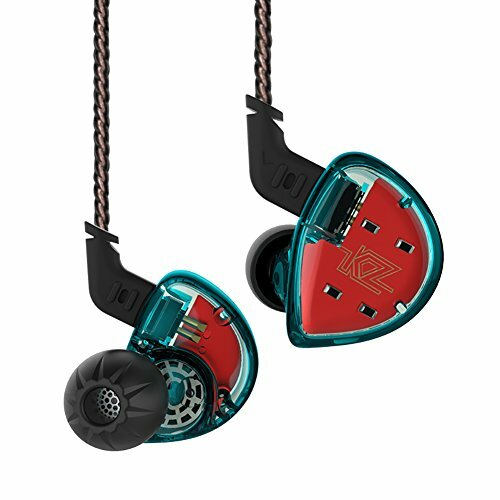 Customized Dynamic Driver, it is upgraded by using graphene film, the soundstage width is extended, significantly enhance the bass intensity and texture. New Crossover Technology, makes the sound flow smoothly through the optimized independent frequency divider circuit, Increase the degree of separation of music and be live.